It’s been long known that our country’s challenges of poverty and lack equitable development even after 70 years of Independence can only be fixed by a long period of sustained high rate of economic growth, creating for the government the necessary economic resources, to expand and direct its welfare spending for those who truly need it. Hence, reforms aimed at expanding taxation revenues to the government are a critical part of any strategy to growing our economy and doing so at high rates for the long term. As a country with very low direct tax compliance (currently only 5.6 percent of Indians pay any sort of income tax), indirect taxes are critical to government revenues, currently accounting for almost 50 percent of government revenues. In turn, reforming indirect taxation and increasing its compliance becomes critical to ensure that the government revenues can grown robustly and do so over a longer period of time. And so it is that after many parliamentary sessions and political disruptions, a parliamentary select committee’s report (of which I was a member) and many sittings of the goods and services tax (GST) council (representing state governments) that finally a political consensus was reached. And so at the stroke of midnight of 30 June-1 July, India formally entered the GST regime. Even at the risk of sounding hyperbolic, GST is independent India’s biggest indirect taxation reform. The World Bank India has described GST as a “tectonic shift” in the country’s taxation policy which has increased the possibility of 8 percent plus growth. Indirect taxes impact every Indian, rich or poor and every business, big and small because it is taxation at the source of consumption. As I have already said, India is an outlier nation amongst other nations in terms of direct taxation. With our low tax-gross domestic product (GDP) ratio and the low direct tax coverage, indirect taxes become very important. 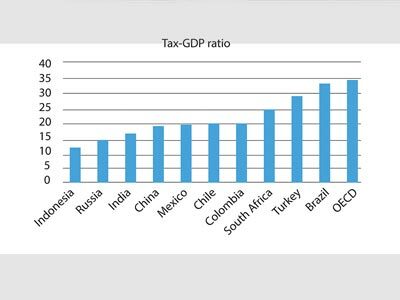 India’s tax-GDP ratio is among the lowest in the world. Reforming and simplifying indirect taxes, therefore, becomes very important to making the lives of consumers, citizens and businesses easier. There is a lot of optimism about the new tax regime, but as is the nature of big reforms, there’s also some amount of apprehension about the disruptions that will be part of the transition to this new world of GST. 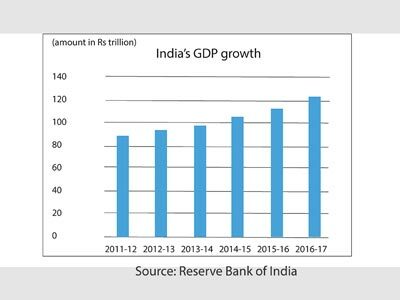 Structural reforms such as GST have a deep impact and it is expected to have an impact on certain segments of our economy for a few quarters. The challenges of GST are around the twin challenges of migrating a six-decade legacy and complex indirect taxation system into one simplified GST and secondly migrating the tax administration system from its current manual one to a technology-enabled one. Each of these are complex in themselves, but doing both and doing so in a compressed time frame (due to the delays in GST due to parliamentary disruptions for four-five sessions) had added to the complexity and disruption caused by this transition. This is clearly not without impact in the short term. Export sectors, trade sectors, medium, small and micro enterprises (MSMEs) have been impacted and, hence, the call for a sympathetic support to these sectors as a kind of transition support. But we need to give the economy some time to adapt to the new system. Two-three quarters down the line, we will start to see the structural benefits of GST kicking in. The Prime Minister’s description of GST being a “good and simple tax: is not without basis and here’s why. The complex tariff structures for inter-state trading have long been a cost and burden to businesses. While big business had managed to factor the time and costs of these transactions into their cost and resource structure, more often than not these proved to formidable hurdles of doing businesses for MSMEs and smaller businesses. GST in one stroke removes these trade borders that can be created by years of indirect taxation and tariffs at both the state and central levels. The larger open market creates more competition and consumers will benefit as much as businesses. At a time when the Internet is dramatically transforming trade and commerce, GST is a big enabler to this transformation of trade and markets. GST is a critical reform for the Indian economy as it has simplified taxation norms by consolidating a range of taxes under one single umbrella. Before, different states had different tax laws. There were as many as 17 taxes that businesses had to pay to various authorities, making it a cumbersome and expensive affair. GST will result in a simplified tax structure and a unified tax base. GST is significant for the MSME sector—a large segment with close to 50 million units in India forming the backbone of our economy. MSMEs find the high costs of compliance with inter-state trade often unviable and restrict their trade to within their states. That has a direct impact on the efficiency of that enterprise and its competitiveness and in turn of our overall economy. Simplifying trade impacts small business most. The ease of intra-state trade reduces supply chain bottlenecks. The increased compliance means more documented trade. More documented trade makes business better equipped to tap formal credit markets instead of the current practise of many MSMEs having to tap informal credit markets or high cost credit from non-banking financial companies (NBFCs). According to the Sixth Economic Census, only 2 percent of MSMEs in India borrow from financial institutions. Better tax compliance and documentation would enable lenders to assess the cash flows of these enterprises and make them creditworthy. Administration of our indirect taxation regime was associated with the Inspector Raj, corruption and lack of transparency. GST leapfrogs the current mode of administration with significant manual intervention (and therefore scope for discretion and corruption) with a technology platform called the GST Network (GSTN). The GSTN, when its bugs are ironed out, will stabilize technologically will be the backbone of this simpler, more efficient and cleaner model of tax administration. And with such a platform will also come better compliance and therefore expansion of the tax base. With expansion of the tax base in turn will come increased revenues to the government for its welfare and social spending needs. All these things are finally contributing to transforming the economy to one that is more efficient, more competitive—an important criterion in a world of increasingly competitive economies. GST was envisioned to be is a consumer- and business-friendly taxation regime because it invests heavily in technology and it addresses the core issues of corruption and evasion that has plagued taxation and tax administration for decades in our country. Admittedly, GST in its current form is not perfect. Part of the reason is that it has been designed at the altar of political consensus—both with political parties in parliament and also with state governments. Political consensus in India usually throws up the least opposed compromise rather than the best proposed option. Fear of states losing revenue has also led to some elements like petroleum and alcohol being kept out of GST. Governments concerns of ensuring affordability to the poor and at the same time keeping revenues growing has led to creation of a complex multi-slab GST system—a seeming contradiction to the “simplicity” feature of GST. But taxation reforms and indeed all reforms in India are evolutionary. So GST will also evolve from its current avatar, as most taxation laws have evolved, as it lays roots and expands its coverage. So where are we today a few months after the GST launch? The GSTN—the technology platform—has been glitchy (to be expected of any software project of this complexity and this kind of scale) and there is disruption in sectors like exports, MSMEs and traders with respect to refunds and the complexity of the slabs. These are important components of our economic engine. I have argued that the government must intervene to ease this transition period for the affected sectors as these structural reforms stabilize over the next two quarters. Of particular importance is the need for the technology issues in GSTN to be solved and settled down at the earliest. Early evidence of GST shows increased compliance both upstream with suppliers to companies and downstream with sales to customers. So as I have always predicted, it’s safe to expect that after the dust settles that GST slabs will be rationalized and simplified further. I have no doubt that GST will evolve into what it is meant to be—a simple indirect tax for both consumers and producers and for the tax administrators. But we need to give it the time required for this to happen. Beyond this short-term turbulence will be a period where the economy will robustly power its way into a prolonged period of high growth—that is the only sure way to decisively tackle our solemn obligation of bringing those in poverty into the mainstream of opportunities and development. Rajeev Chandrasekhar is a member of the Rajya Sabha, the select committee on GST and the parliamentary standing committee on finance.